‘Doctor Strange' was recently announced by Marvel Studio's President Kevin Feige at Disney's D23 Expo in Anaheim last August 14-16, 2015. Benedict Cumberbatch sent out a message from overseas about his title character as well what to expect from the second film in the MCU's Phase Three. 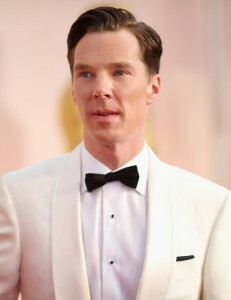 According to Mirror.co.uk, Cumberbatch was announced by Feige as the titular neurosurgeon-turned-sorcerer for Marvel and Disney's collaboration. The live-action adaptation's plot follows the transformation of comic book character Stephen Strange into Doctor Strange. After a car accident that renders his hands useless ruins his medical career, he sets out to a journey in the Himalayas for the purpose of getting healed. He then encounters the Ancient One who trains him to become the Sorcerer Supreme to fight against supernatural enemies from parallel worlds. The Ancient One will be portrayed by actress Tilda Swinton. Cumberbatch was unable to attend the recent convention due to his ‘Hamlet' commitments in London, according to another article by Vanity Fair. Together with Feige, they emphasized how different – how weird – the new film will be in comparison to other Marvel productions. The latest concept art that showed Doctor Strange “standing on planets and gazing into galaxies” was also revealed at the expo. According to Cinema Blend, the unusual Marvel film hasn't begun on production yet and kept developments in high secrecy. However, Feige revealed the latest artwork for the movie as well as the first look at Cumberbatch's character. Doctor Strange's costume was darker than in the comic books but retained the original color palette. Cumberbatch was also said to wear the powerful sorcerer's signature goatee. A featurette shown during D23 also gave audiences a short look at the film's villain Baron Mordo, to be played by Chiwetel Ejiofor, as well as various scenes of levitating cars and astral projection visuals. ‘Doctor Strange' is the 14th independent installment in the Marvel's cinematic universe and will be featured in its Phase Three. The live-action adaptation is set to be released on November 4, 2016 under the direction of Scott Derrickson.